Check out this latest collection of my favourite findings from across the web. 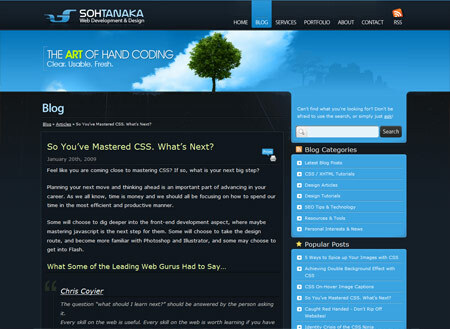 This time I particularly enjoyed reading a fantastic artwork walkthrough, browsing a collection of inspiring website layouts bookmarking a roundup of indispensable resources, revisiting the evolution of Apple computers and sharing my thoughts on where designers should head after mastering CSS. Phew! 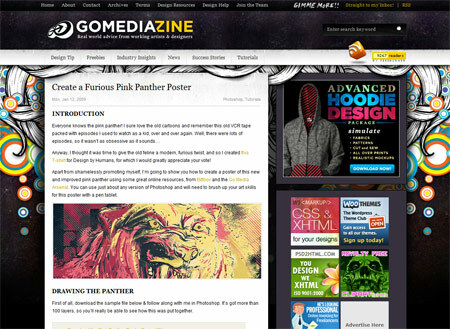 The artistic fellows from GoMedia always crank out top quality apparel design advice, this walkthrough from Alex Beltechi takes us through the process of his Pink Panther design. Using a graphics tablet to create the initial image, it is then roughed up with various watercolour and spraypaint brushes giving a really furious design. Magazine style layouts that focus on accurately structured grids are becoming increasingly popular. 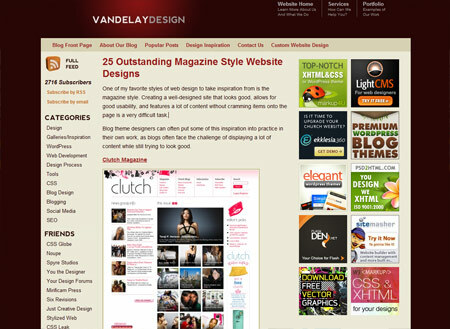 The Vandelay Design Blog highlights this trend with a collection of outstanding magazine style website designs. Having a good toolbox of resources is an extremely useful asset for any designer, Natalie from Freelance Folder has put together this list of indispensable resources for graphic designers. The post compiles the best brushes, patterns, textures, fonts and vectors making it one to bookmark for future reference. It is always interesting to head back in time to discover the evolution of something we use on a daily basis. 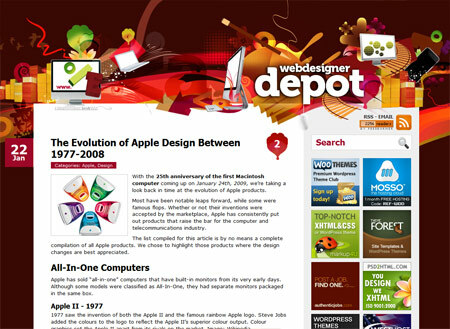 Angela West does exactly this in her article at Web Designer Depot with a comprehensive history lesson of the evolution of Apple design between 1977-2008. It's amazing to see the growth and development of technology, particularly in the last few years. Some very good reading again! I love Soh Tanaka’s design, it simply rocks. 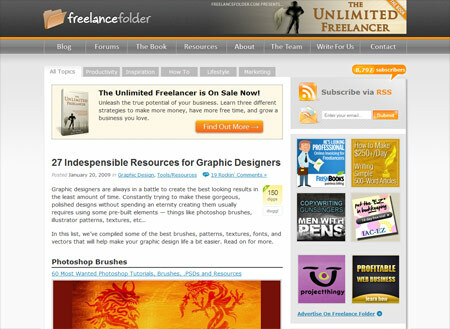 I am actually surprised how rapidly fast webdesignerdepot is taking place in design community offering awesome articles.